Since 2013, Dr. Jennifer Nudo has been serving the needs of area residents in helping them to be pain-free and enjoy the vitality of a healthy life. At Experience Chiropractic, Dr. Jen specializes in neck and back pain, posture correction, prenatal and wellness care. She uses a combination of manual and gentle instrument adjustment techniques personalized to each individuals unique condition. She offers personalized therapies and strives to maintain a fun and joy-filled atmosphere in her practice. Dr. Jen received her Doctor of Chiropractic degree in 2012 from Logan College in St. Louis. 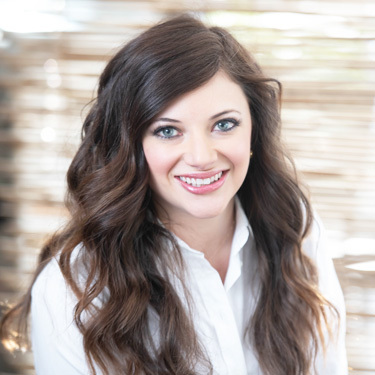 In addition to her skill and experience in delivering chiropractic adjustments, she also offers insight on diet, exercise, supplementation and the ergonomics of sleep and work. Her patients appreciate her well-rounded approach to their care. Dr. Jen has continued with her postgraduate studies and has become a Webster-certified practitioner. This highly sought after technique is designed to help moms-to-be have the pregnancy they always dreamed about—a pregnancy that’s optimal with a minimum of discomfort. She’s also a member of the Illinois Chiropractic Society. When she’s not busy taking care of her practice family, Dr. Jen enjoys trying out new restaurants, shopping, travel and exploring the Chicago area. We invite you to come in and meet our dynamic duo of chiropractic specialists: Dr. Jen and Dr. Kelly. We offer free consultations, on-site X-rays, same-day appointments and Saturday bookings. Contact our Lincoln Park office today and let’s get started!